When should you complete fitness testing? This is where you need to use careful judgment. If a client is unfit and hypertensive you might check their blood pressure weekly and give them an aerobic fitness test monthly. The blood pressure is a safety concern whilst the aerobic fitness is tested to help encourage and reset training goals. Remember, early on those who haven’t exercised for some time can experience rapid changes in fitness and showing them that progress through testing is encouraging for them. If the client also wanted to lose weight you may weigh them every eight weeks and/or measure their girths on a monthly basis. This allows you to give them feedback on their progress and you would expect that these timeframes are long enough to show positive change in each of these variables. You wouldn’t, in this case, complete body fat percentage measures weekly or weigh weekly. Because these numbers can fluctuate dramatically over a week you need to wait until enough change has occurred that the test will show positive results and that the weekly variation is not the only factor you’re seeing. As you can tell, using testing to motivate, focus and keep members safe requires some thinking on your behalf and relates closely to the overall situation of each and every client. Let’s look at an example to see how this might play out in the real world. Jason is overweight and has joined the gym and during his consultation with you he say’s that he’s going to thrash the weight off himself by training about nine times per week, mostly on his own but with some guidance from you. He’s asking for some tests to keep an eye on his progress and is most interested in the ‘body fat percentage’ tests. You’ve told him you’ll think it over and give him a call to book him in for testing once you have the right tests lined up for him. You are now taking a bit of time to review Jason’s situation. His consultation showed that he’s a bit hypertensive but was cleared by his doctor. His body weight is 129kg and his main goal is weight loss. He has tried to lose weight before by exercising but stopped because he got injured (torn calf) from running. He is a very outgoing, jovial and friendly character. You think he has a high ‘influential’ personality style and the other aspect you see is quite a bit of a ‘dominant’ personality as he’s quite direct, cuts to the chase, and wants what he wants – usually right now. He had an old training plan and programme designed by a previous trainer which he has started using again. It is full of cross training and resistance work, and on several days he’s training twice. Jason has been following this plan for the past two weeks and reckons he’s already lost 6kg. Although this previous trainer has obviously given Jason what he asked for, you’re wondering what will be maintainable over the longer term. He hasn’t missed a day in the last two weeks and it seems the results on the scales are really pushing him along. Reviewing Jason’s situation the following ‘testing options’ might fit. The thinking behind them also follows. Record the cross training level against heart rate at 80% of age predicted maximal heart rate as a measure of Jason’s aerobic fitness on the cross trainer. Cross training time trial over a distance as a measure of Jason’s aerobic and anaerobic performance on the cross trainer. 10RM on bench press, pulldowns and lunge weight (taken from loads lifted during ‘test’ week) shown as % improvement monthly using month one as the base. Jason may continue to ‘weigh’ himself but you won’t pay too much attention to those results and will try to get the focus on the ‘training targets’ and have him weigh himself less frequently. Total work done during strength workout (multiply reps x weight x sets and add all together) giving a total workout volume. Use the loads lifted on the last training session of the first month as the baseline measure. Looking at each area the following ‘objectives’ are evident. I want to make sure Jason keeps getting positive feedback from the tests – so I need tests that are sensitive enough to show change regularly and that are focused on training improvements as the weight loss will come over time. Although Jason may want ‘bragging’ options I need to give him both bragging and training targets and protect him from the ‘bad result’. Training targets will also allow me to moderate his efforts as if he is getting weaker and not aerobically fitter then it’s a sign of over training. To lose weight Jason needs to burn calories and maintain or increase lean body mass so both strength and aerobic fitness are important components. His current training reflects this. I only need to compare Jason to Jason so performance tests without ‘normative’ data are fine and protect him from comparing himself to others in the shorter term. A performance test of aerobic fitness on the same piece of equipment with reliable heart rate monitoring and a pre and post exercise BP once a month/or fortnight after a rest day and in the morning should be valid and reliable for measuring his fitness on that piece of equipment. A note of the change in load lifted for 10reps on three exercises which he’ll continue long term taken fortnightly should be valid and reliable for showing his strength gains in those particular exercises. It won’t show lean mass changed validly, but will show improvements in strength. Alternatively the ‘testing’ could simply be gathering info on the ‘best’ 10RM for each exercise in that week. Another option could be to multiply reps by load for each exercise by the number of sets, then add them all which would give a gross number indicating the volume of work done. Changes in that would be sensitive across all exercises but would lose reliability when/if the exercises were changed. Tests at the club, using equipment Jason will train on, means they will be affordable, accessible, do-able and none would be likely to make Jason uncomfortable. Testing is simply taking a snapshot of the state of the body at a given time. You need to be wary though that testing can also fatigue the body. If you were going to take a photo of someone who was almost always happy, would it be fair and valid to wait until they were sad, then snap away. Not really, your snapshot wouldn’t represent the reality. So, when we have a series of tests we have to order them so that the test we are doing first won’t ‘fatigue’ or ‘change’ the thing that we are next going to test. An example of getting the order of fitness tests wrong would be doing an aerobic bike test, then taking a resting blood pressure measurement afterward. The bike test will have changed the blood pressure so the blood pressure should have been tested first if it was resting blood pressure we were after. Another example would be completing a power test after you’d completed a strength test. Because the strength test would fatigue the energy systems used in the power test you would get false negatives in your results. Complete measurements of resting heart rate or blood pressure prior to any tests that will elevate either of these variables. Complete measurements of body composition or dimension (skinfolds/girths/weight etc) prior to ‘performance’ tests where dehydration or ‘sweaty’ skin may impede taking accurate measurements. Prioritise ‘performance’ tests that rely on the ATP-PC energy system (power/strength) prior to tests that rely on the glycolytic and/or aerobic energy systems (endurance/aerobic fitness) as any form of fatigue will interfere more with tests that rely on ATP-PC system for energy. But ultimately – try to remember this point – clients use you to achieve results, not to be tested. So with this in mind only select and use essential, valid and reliable tests with all your personal training clients that will motovate them to continue their training. 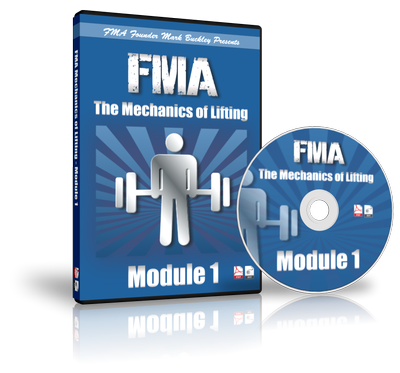 Addicting your Personal Training clients to training regularly is easy! Claim your copy of our Session Delivery Guide now and learn how it's done! 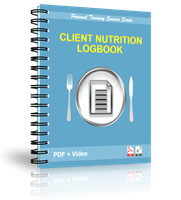 Make Nutrition Consultations for PT clients simple and effective with our Client Nutrition and Lifestyle Logbook. Claim your copy here.